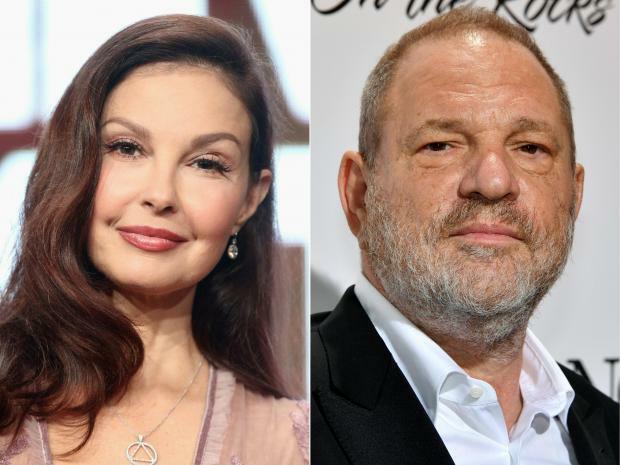 A Los Angeles court on Wednesday dismissed actress Ashley Judd's sexual harassment lawsuit against disgraced Hollywood producer Harvey Weinstein -- but said she can move forward with allegations he defamed her and damaged her career. US District Judge Philip Gutierrez said the law covering sexual harassment within a professional relationship did not apply to sexual advances Weinstein, 66, allegedly made toward Judd in 1997 during a meeting about potential film roles. However, he did rule that Judd, 50, can proceed with her defamation claim against the producer, who has been accused of sexual abuse by hundreds of women and is facing criminal charges in New York. Once of the first women to accuse him, Judd claims that in 1998, Weinstein defamed her and damaged her career by telling "Lord of the Rings" director Peter Jackson that she was a "nightmare" to work with. Gutierrez previously said in September that the law upon which Judd's claim was based "has never before been applied to an employer's sexual harassment of a prospective employee, and the court is not convinced that the statute was intended to cover such harassment." Weinstein's lawyers in July insisted Judd had struck a "deal" with Weinstein allowing him to touch her if she "won an Academy Award in one of his films." But Judd alleged that she proposed the pact to elude Weinstein after he invited her to his Beverly Hills hotel room. Jackson confirmed in December 2017 that Weinstein had in the 1990s sought to discredit actresses who later went on to accuse him of sexual misconduct.